Caljava International - manufacture of premade gumpaste flowers and cupcake toppers. 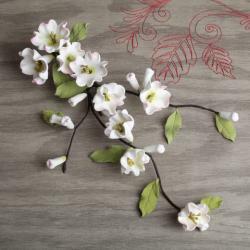 With hundreds of options to choose from Caljava International is one of the largest and most experience pre-made gumpaste flower manufacturers in the world. Each box of flowers is packaged carefully to prevent shipping damage.